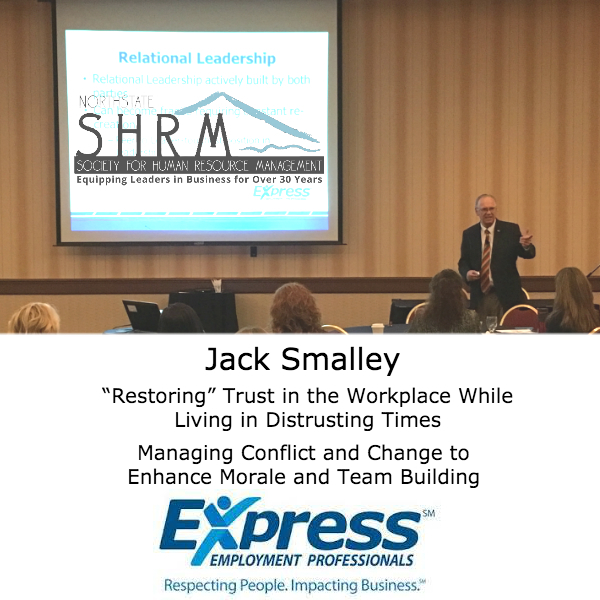 Jack Smalley presented the following special double-feature presentation to NorthstateSHRM on 04/21/2015 which includes the following sessions that he graciously shared permission to Northstate SHRM to share with members and guests for their internal use only. It’s no secret that trust in the workplace is at its lowest level in decades. 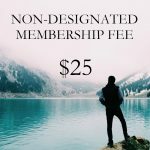 According to Gallup, only 29% of employees are fully engaged and the most populated generation in the workplace – the Millennials – is firing out résumés due to a lack of trust in leadership resulting in organizational dissatisfaction. We’ve been surrounded by massive fraud and scandal in business from the banking industry to the energy sector. Can trust be restored in the workplace? Yes, but it is a marathon, not a sprint. Trust, not money, is the currency of business and life. During this session, we’ll identify whether we are “blind trusters” or “distrusters.” We’ll also discuss the secrets behind the most trusted companies and how trust impacts retention, sales, customer service, and profits. Restoring trust in our workplace begins with each of us. As leaders, we must understand, accept, and take ownership of how every daily decision we make impacts others. In today’s highly competitive business environment, remaining No. 1 has become the new standard and can only be achieved by developing a culture of trust with your employees and external customers. This program is designed to assist supervisors at all management levels. All professional relationships experience some type of conflict. This is normal, natural and sometimes even necessary for growth and development. Successful ways of handling the problem employee.